I'm laughing at the "if they were any slower, they'd stop" bit about the movies. better than sleepy time tea? Not exactly. They were REALLY slow as in VERY slow- moving real time, but were strangely riveting. And sad. Not for everyone, maybe, but fine films. Silent Light was particularly haunting. Apparently the film about burlesque had the "sleepytime tea effect," at least on me! What a great film festival! I just read an article in the paper about the Anvil movie last weekend (a good review)--the author seemed to think that the movie itself is what will bring these guys fame, finally. 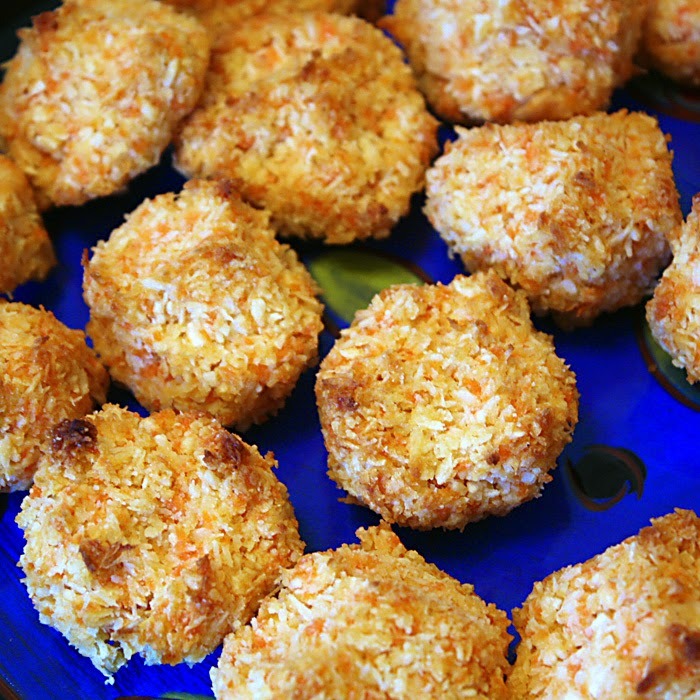 Love the idea of carrots in macaroons--and I DO love coconut that much! 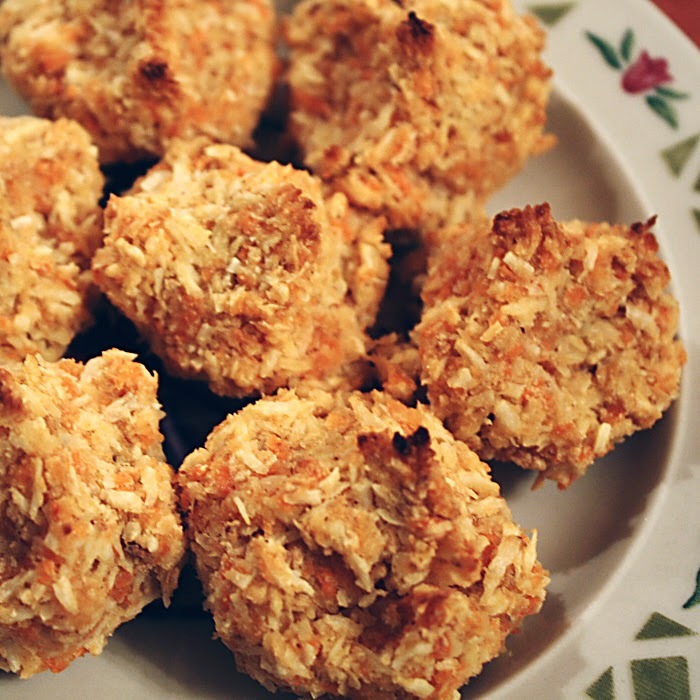 Courtney, I've never been a huge fan of shredded coconut either, but I find these macaroons strangely addictive. Ricki, I LOVE the film festival and it's so hard to choose a reasonable number of films. I hope Anvil finds fame after all these years - whether from the film or the new CD. You should try to see the movie. Neither of us are heavy metal fans (though I did, a couple of years ago, attend a Cheap Trick/Alice Cooper concert with a friend's guest passes) but we both loved this film. 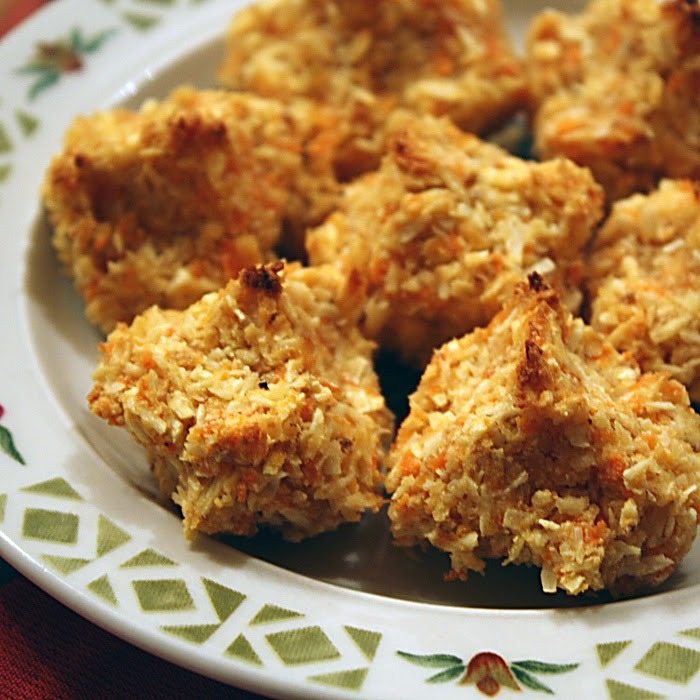 Carrots in macaroons, I love it! It seems like carrot heaven on blogs lately. Coconut is the overwhelming flavor, so you don't notice the carrots, kind of like the carrots in carrot cake. But they contribute to the beautiful golden color, and probably make these healthier than most cookies! Thanks for the recipe!!! Although thanks to you, I have a little stash of my own right now. I loved having you, and the food, at Passover this evening! And thanks for the movie descriptions, as I was sorry to miss the festival. Fortunately for us, we got to see a newly released Swedish film in Boston called "Everlasting Image," or something like that, and so we felt all Independent-film-y and not too left out! Thanks for your comment. I appreciated your taking the time to write!